The busiest time for departures will be on March 23 in the morning and continue all day on March 24 and 25. With road works and infrastructure enhancements happening around the main airport highways and roads during this time, Emirates urges customers to build in extra time to their journeys to avoid potential delays. Customers are reminded to arrive at the airport at least three hours before their flight departures. Passengers can physically check in at the airport as early as six hours before departing on their flight, and are requested to check in no later than two hours prior to departure, regardless of class of travel. Customers who check in less than 60 minutes prior to their scheduled flight departure will not be accepted for travel, the airline said in a statement. Customers can also check in online on both their desktops and mobile devices from 48 hours to 90 minutes before flight departure. 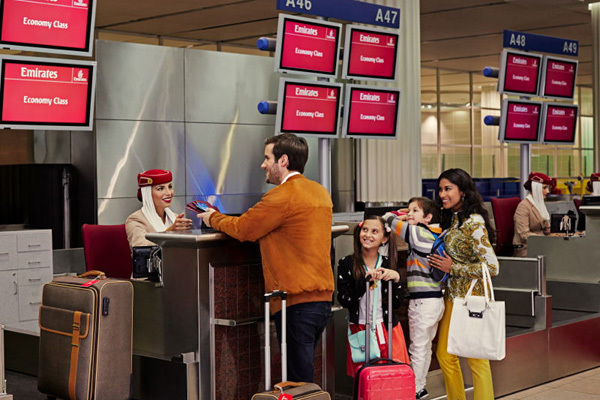 Alternatively, customers heading to Emirates Terminal 3 can choose to drop their luggage at one of the 46 dedicated bag drop counters in Economy Class or separate counters in First Class and Business Class from six hours to 90 minutes prior to departure. Families travelling with small children can use dedicated Family counters in Check-in Zone 2. After checking in, passengers are also advised to make sure they get to their boarding gate on time.